One of my good friends, funny people and best-selling author, Amy Vansant, is running a giveaway on her book promotion site RIGHT NOW. 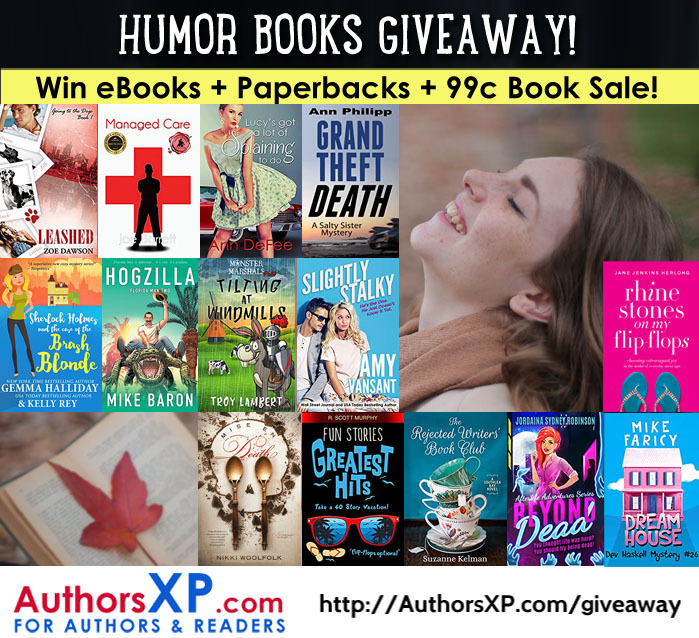 You could be the grand prize winner of 20 Kindle humor/comedy books OR one of 20 winners of an individual Kindle copy of a humor/comedy book! INCLUDING MY LATEST – Romantic as Hell! Here’s the scoop and what you could win. There are some pretty amazing titles here. Click on the graphic to go to her site to enter! Click on the graphic, or THIS LINK to enter!